Safa: Credit crunch could boost sukuk in the longer term. 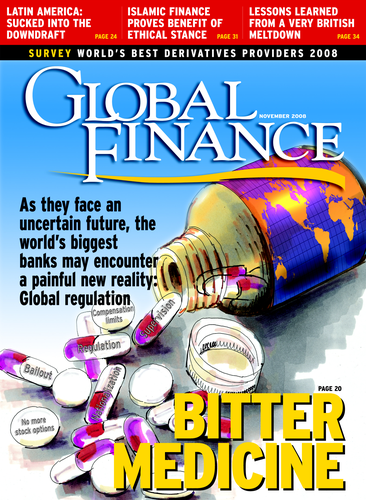 Asudden slowdown in the issuance of sukuk, or Islamic bonds, could be the result of the global credit crunch, a ruling by a committee of Shariah scholars (see story, page 31), fears of a Middle East real-estate bubble, falling oil prices, or something else. There has long been a worry, known as Shariah risk, that Islamic scholars might one day pull the plug on the booming market in Shariah-compliant financial instruments that mirror Western securities but that avoid the payment of interest and other forbidden practices. When Standard & Poor’s reported that total sukuk issuance in the first eight months of 2008 was $14 billion, down from $23 billion in the same period in 2007, it blamed the slowdown primarily on global market conditions, rather than any fatwa. S&P; added that a healthy backlog of such issues indicates that sukuk issuance likely will exceed $25 billion for 2008. 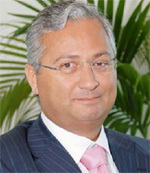 “Our view is that the credit crunch may result in an expansion of sukuk as a financing vehicle for global companies, especially as they work to access important sources of capital in the Middle East and elsewhere,” says Samir Safa, international business development manager of Islamic banking at Misys, who is based in Dubai. “Certainly, there is an awareness now of sukuk as a strategic alternative to a credit market that may not regain its strength for some time,” he says. Islamic banking is still in its infancy but could become a sustainable financing model, Safa says. “As a result of the financial crisis, there will undoubtedly be a lot of interest in financial systems that specifically do not allow hedging, future selling or trading in short positions,” he says. Islamic financing likely will remain a viable alternative, rather than totally replace the conventional system, he adds. Chew Seng Kok, managing partner at Zaid Ibrahim, Malaysia’s largest law firm, says, “Expertise in Islamic finance globally is not commensurate with demand, which is expected to intensify as economic uncertainty leads investors to seek risk-averse Shariah-compliant products.” Zaid Ibrahim recently became the first law firm from Southeast Asia to receive a license to operate in the Dubai International Financial Center.